Each year, Brooklyn Heights Blog identifies ten people we feel have made a positive impact on the neighborhood. This year’s list is an eclectic mix of the fascinating personalities who make Brooklyn Heights a very special place. 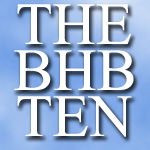 And now the BHB Ten 2011. 10. Lois Rosebrooks – Plymouth Church Historian: Since 2002, Ms. Rosebrooks has been the official historian of Plymouth Church. A self-taught historian, Ms. Rosebrooks single-handely keeps the church’s history alive – from the legendary Henry Ward Beecher, its role in the Underground Railroad to Dr. Martin Luther King’s 1963 “American Dream” sermon. 9. The Lost (and sometimes found) – From the abandoned yorkie who found a home thanks to a BHB reader to the still-lost Willowtown cat Beebop or the shaggy poodle a reader reunited with his owner or that errant Blackberry still looking for its owner, the Lost (and sometimes found) earn a spot on the BHB Ten. And who can forget “Otis” the one-armed something lost in Brooklyn Heights. Thanks to two big hearted BHB readers he was reunited with Luna his loving owner who had posted fliers around the nabe in her frantic search (photo). 8. 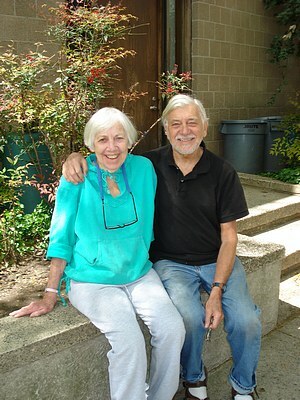 Joe and Mary Merz – Architects, Willowtown Visionaries : In 2010, the Willowtown Association honored Joe and Mary (who we lost in 2011) by dedicating its annual fair to the couple. In its announcement of the event the association wrote: “Fifty years ago this year Joe Merz and his wife Mary started an architectural firm in their carriage house on Grace Court Alley in Brooklyn Heights. They met at Brooklyn’s Pratt Institute, from which they both earned degrees in architecture. They soon became the owners of four lots on Willow Place in the nearby Willowtown neighborhood. The city had razed the original deteriorated structures on the lots. The three new houses they designed and built there in “international style,” one of which became their own home, sensitively blended the new with the old while respecting the nature and scale of the historic community. 7. Ron Chernow – Author: Does winning a Pulitzer Prize get you on the BHB Ten? Totally. Mr. Chernow won the 2011 Pulitzer Prize for biography for his Washington: A Life. 6. 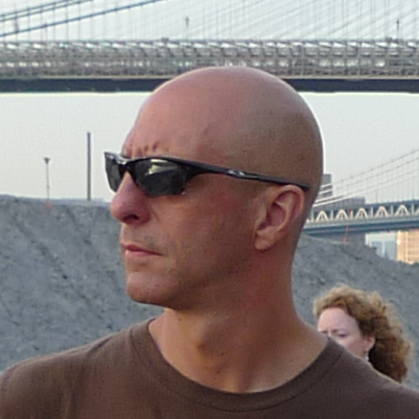 Tony Manheim – Activist: Mr. Manheim a pioneer advocate of Brooklyn Bridge Park continues to jump into the moshpit decades after he began fighting for the park. 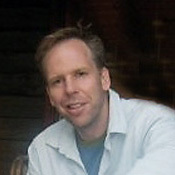 In 2010 he was named to the Community Advisory Council of the Brooklyn Bridge Park Corporation. 5. 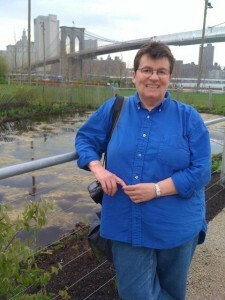 Julie Feinstein – Urban Wildlife Expert: A Brooklyn Heights resident for over 20 years, Feinstein is also a collections manager at the Museum of Natural History. In 2011, she published A Field Guide to Urban Wildlife and gave BHB’s Julie Kanfer a super-fantastic tour of wildlife at Brooklyn Bridge Park’s Pier One. 4. Dan Horan – Five Acre Farms: Montague Terrace resident Horan sells milk to grocers from farms within 275 miles of New York City with a personal touch. Each bottle is labeled with the name of the farm and farmers who produced the milk. Read our profile of Horan here. The Brooklyn Heights Promenade from Karl Junkersfeld on Vimeo. 3. Henrik Krogius – Brooklyn Heights Press Writer/Historian: Like Martin Schneider and Otis Pearsall, among others, Krogius lived and fought through the battle with Robert Moses to save Brooklyn Heights. Last year, Schneider shared his story in Battling for Brooklyn Heights.In 2011, Krogius writes about the twisted history of The Brooklyn Heights Promenade. 2. Kenn Lowy – Owner, Brooklyn Heights Cinema: After former owner Norman Adie’s sordid dealings came to life, it appeared that the Brooklyn Heights Cinema’s days were numbered. 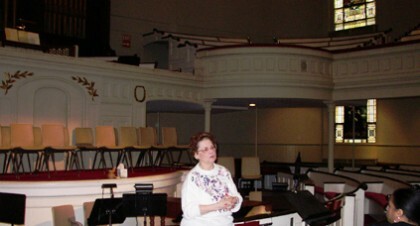 But the theater was saved by new owner journalist/computer guy/musician/activist Kenn Lowy. Under his watch, the theater is serving up a mix of important indie and major motion pictures as well as adding live music to the BHC calendar. Who knows what’s next – maybe some tasty snacks and bevvys? 1. 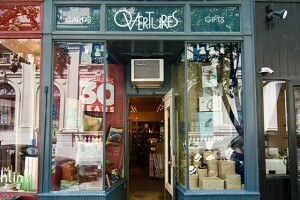 Jerry Morin and Michael Davidson – Overtures: After 30 years, Morin and Davidson are closing their Hicks Street shop. Sad for all of us who loved shopping there but a very happy occasion for them. After decades together, neighbors familiar with the couple say they will marry (now that it’s legal in New York State) and travel the world. So, goodbye Mr. Morin and Mr. Davidson and thanks for all the gifts. I nominate the evening barber who has a chair at the shop over in the 2/3 Clark Street subway station. He has been working here for EVER and knows everybody and everything going on in this neighborhood. Too bad you didn’t consider Brad Smith, long-time resident of the Riverside Apartments, activist and Big Apple Greeter, worth inclusion in your list. @yoohoo – there was an open thread posted asking for suggestions perhaps next year you can nominate him! Congratulations to everyone on the list! Once again, Homer has captured the interesting highlights of the past year. Great job! Good choices! I particularly like the Lost (and found) one. That was something I never would have thought of. only missing someone from the PTA. whoever she may be, just for dealing with it and being a sport. Is there a DUMBO 2011 Most Interesting People List? I vote for Jane Carousal Wallentas the ride in the pretty glass box is just beautiful!